David A. Davis discusses “Voting NO on Nov. 7 to oppose holding a New York Constitutional Convention.” – Long Island Business News. Vote “No” on Nov. 7 to oppose holding a New York Constitutional Convention. It is wasteful and unnecessary. If approved, next year every state senate district will have to elect three delegates to attend a convention the following year in Albany. If those delegates agree upon an amendment the public still has to vote for approval. Millions of special-interest dollars in delegate elections. Millions more to staff and run the convention. For what? We already elect people to represent us in Albany who can amend the state constitution at any time, without a convention. Two terms of the Legislature just have to vote for an amendment and then it goes to the public for approval. So, why all the commotion? Because special-interest groups are trying to hijack our democracy. For example, look at the group demanding public employees convicted of crimes forfeit their pensions. Nobody condones criminal behavior, but employees work 20, 30 or more years to earn those pensions. Private-sector pensions are not forfeited and in 1940 the New York constitution was amended to protect public employees’ pensions too. Nevertheless, the forfeiture group has had a lot of success. Legislation was passed in 2011 that allows pension forfeiture for public officials hired thereafter who are convicted of a crime related to public office. The forfeiture group also successfully lobbied the Legislature for a constitutional amendment to be put on the ballot this year (without a convention) that all present and future elected officials who are so convicted will forfeit their pensions. But, in this age of extremism, enough is never enough. Some public employees still have constitutional protections and the only way to completely strip it from all of them is to amend the constitution. Since the Legislature won’t, the forfeiture group needs a convention to circumvent the Legislature, elect its own delegates and rewrite the constitution to fit its whims. Of course, if we have a convention there’s no guarantee which special interest group’s delegates will win or what amendments they will propose. Actually, that’s more than wasteful and unnecessary, it’s downright scary. Davis is a founding partner at the Islandia law firm of Davis & Ferber, LLP. Victims of malpractice and their heirs who discover the error long after it occurred typically can’t sue, even if it’s clear that the mistake contributed to the disease or death. That could soon change, at least for those suffering from cancer. The New York State legislature has passed a bill that would give victims of medical malpractice with cancer more time to sue, something supporters say will help wronged patients get compensation, while critics worry it will create a new double standard. Lavern’s Law would let cancer victims sue up to two and a half years— and one and a half years for state hospitals – after they discover the malpractice. That’s a huge change from current regulations, which start the clock at the time of treatment rather than discovery. The Medical Society of the State of New York, based in Westbury, opposes the change, saying it could lead to more litigation, increase malpractice insurance and, potentially, healthcare costs. The legislation is named after Lavern Wilkinson, a single mother in Brooklyn who died of lung cancer in 2013 after it went undiagnosed despite X-rays taken at Kings County Hospital that indicated its presence. Wilkinson was unable to sue, since by the time she realized she had cancer, the statute of limitations had expired. Rothberg, however, said singling out cancer creates a situation where those with other diseases will be treated differently under the law. Ferber said that’s simply a reason to start the clock ticking at discovery for all medical malpractice cases. Rothberg, however, said the bill doesn’t address the key issue that Wilkinson’s estate faced. Patients have only 15 months to bring action against public hospitals, rather than two and a half years for other providers. Ferber said starting the clock ticking at discovery would make it easier to sue both public and private hospitals. And he said the double standard for suing public and private entities reaches far beyond hospitals. Under the concept of government immunity, municipalities, public hospitals, schools, parks, public buildings and streets have shorter statutes of limitations than private entities. “If I get injured on your property, I have three years to start a law suit,” Ferber said, noting it’s far less for a fall on a public street. Doctors worry Lavern’s Law could increase already high malpractice rates, which could hurt medical care. The society said starting the clock at the date of discovery could hike premiums by 15 percent. The society said that in Nassau and Suffolk, premiums already are more than $338,000 for neurosurgeons and $141,000 for orthopedic surgeons. Rothberg worried this could open the floodgates to a wave of litigation. But Ferber said attorneys, who typically work on contingency, filter out cases. He said he sees “plenty of cases where there was a mistake, but I say it’s not a case worth taking,” since the litigation cost can outweigh possible recovery. Lavern’s Law also only would allow cases to be filed dating back seven years, putting the brakes or at least a limit on litigation. Rothberg said practicing defensive medicine could lead to unnecessary tests, potentially harming patients. Ferber, however, said defensive medicine can mean physicians are being cautious. In most cases he takes, doctors failed to act. While this bill could lead to a major change, it’s just one battle in a bigger fight over medical malpractice. Federal legislation calling for a $250,000 cap on damages for pain and suffering recently passed the House of Representatives. 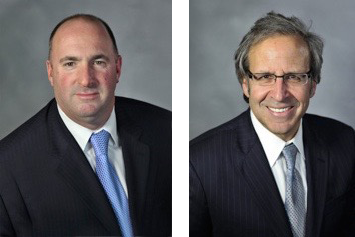 Ferber and Rothberg both agree that parties in medical malpractice suits should be required to identify their expert witnesses, which isn’t the case now in New York State. Ferber, however, said both sides today must identify experts’ specialty, year they graduated medical school, when they were board certified, hospitals where they practice and other information. There already are provisions to regulate how much medical malpractice attorneys in New York State make on cases. They can earn up to 30 percent for the first $250,000 and lower amounts for larger sums. Attorney fees on medical malpractice verdicts exceeding $1.25 million in New York State are capped at 10 percent. Davis & Ferber, one of the area’s preeminent law firms has launched a dynamic new marketing program designed to assist people with personal injury, medical malpractice, nursing home abuse, motor vehicle accidents and general practice lawsuits. The new multi-media campaign will feature thousands of TV and radio commercials and helpful “law tips” announcements over the next few months with the theme line “We give you back your future”. After a serious injury people need to financially return to where they were in their lives and where they planned their future. Davis & Ferber has won hundreds of millions of dollars for their clients. The multi-faceted marketing campaign will feature a new and informative website (www.davisferber.com), a social media program, email, direct mail, new literature, and TV and radio commercials. 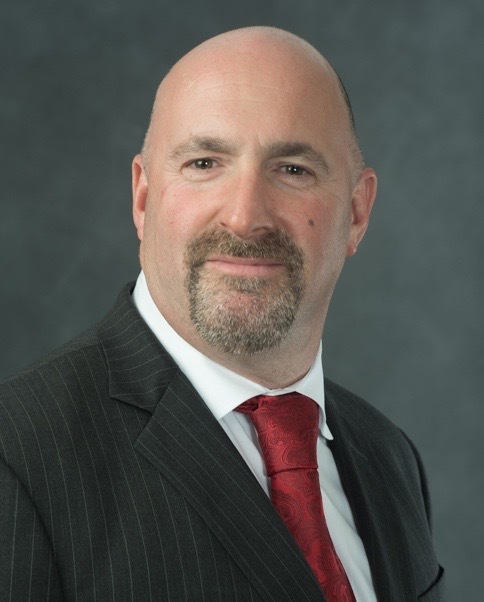 Steve Ferber, Davis & Ferber partner said, “For several years we have been performing successful legal work and winning hundreds of cases for our clients. Now with our growing staff of over 25 professionals it was time to expand our reach”. “Many people were aware of our strength with the numerous labor organizations we represented, headed by my partner David Davis and our general practice, now it was time we publicized our personal injury and medical malpractice work”. Both David Davis and Steven Ferber had long and successful careers as attorneys and in 2011 they joined to create Davis & Ferber. Headquartered in Islandia, New York they also have offices in the Bronx and Riverhead. Practice areas include personal injury and medical malpractice; work related, motor vehicle and premises accidents; labor relations and employment law for both individual workers and labor organizations; and general practice law including family law and criminal defense. The campaign for Davis & Ferber was created and produced by Greenstone & Nehlen Marketing – www.greenstonenehlen.com For additional information contact Steven Ferber, Davis & Ferber, 1345 Motor Parkway, Islandia, New York. www.davisferber.com, 631-543-2900. Islandia, New York, March 29, 2017 . . . Steven B. Ferber, a founding partner of Davis & Ferber LLP, received the 2017 Martindale-Hubbell, AV Preeminent Rating. This is the highest possible level in both legal ability and ethical standards reflecting the confidential opinions of members of the Bar and judiciary. Martindale-Hubbell has been providing these ratings for over one hundred years. 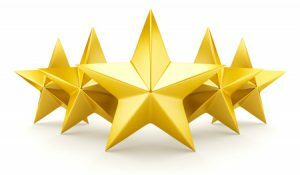 The AV rating is the highest that can be achieved and represents professional excellence earned by a strenuous peer review process. 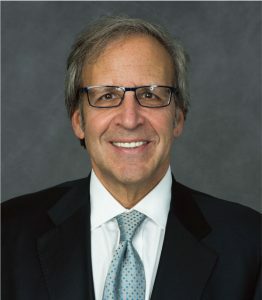 Steven Ferber, a founding partner of the Davis & Ferber law firm leads their Personal Injury and Medical Malpractice Group. He has recovered hundreds of millions of dollars on his client’s behalf. Steven has also served on the Judicial Screening Committee which screens candidates for Judgeship. He was co-chair of the Supreme Court Committee of the Suffolk Bar as well as Boss of the Year of the Suffolk County Legal Secretaries Association. Davis & Ferber, LLP is one of Long Island’s preeminent law firms. They presently employ twenty-five professionals in three offices – Islandia, Riverhead and the Bronx. David Davis, the other founding partner concentrates his efforts with a number of labor organizations, labor relations and employment law. The firm is also well known for its general practice, family law, criminal defense and litigation. Islandia, New York, April 4, 2017, Davis & Ferber, one of the areas preeminent law firms with offices in Islandia, Bronx and Riverhead is expanding their Bronx office at 1578 Williamsbridge Road with additional personnel. The firm presently employs twenty-five professionals in all three offices. The marketing campaign focused on the firm’s area of personal injury, medical malpractice and nursing home abuse and included a new website, radio and TV commercials, social media, and literature. The theme line created was “we give you back your future”, which was recently granted a Trade Mark. This tagline conveyed to seriously injured people their need to financially return to where they were in their lives to where they planned their future. Davis & Ferber has won hundreds of millions of dollars for their clients.